The tall forward is a Port Vale striking legend after breaking the goalscoring record for goals scored at Vale Park. 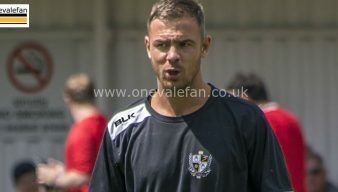 A lifelong Vale fan, he initially joined the club on loan before the move was made permanent. The striker rose to prominence with thirty three goals during the side’s 2012-13 promotion season. 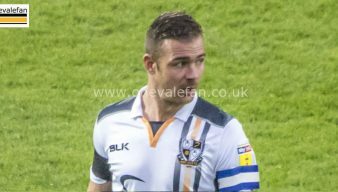 He moved to Bury in 2015 but returned for a second spell with Port Vale in 2017. The forward has now won the club’s player of the year award on three separate occasions. 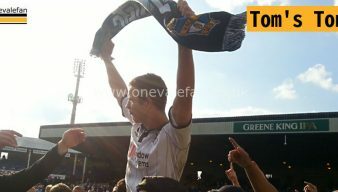 It was a memorable moment for Port Vale fans after talisman striker Tom Pope netted his 100th senior goal for the club. Port Vale coach says an injury to top-scorer Tom Pope is “nothing major” after the striker was ruled out of the game with Mansfield Town. Port Vale’s top-scorer admits the side is in trouble and is “running out of games” after their home defeat to Morecambe. Port Vale coach Lee Nogan has confirmed to the media that striker Tom Pope will be missing for four to six weeks. 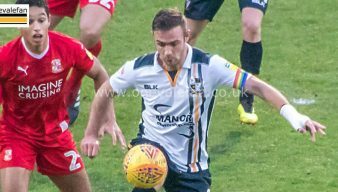 Port Vale manager Neil Aspin has confirmed that top-scorer Tom Pope has suffered a hamstring injury. Port Vale suffered injuries to two influential players during their 3-0 home defeat to Colchester United.